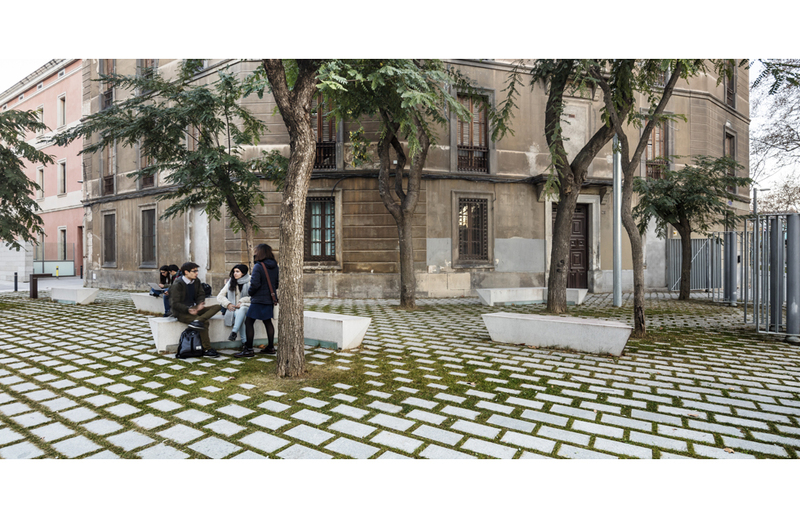 This new public space will be the access plaza to the BETA building and the connection between the UPF urban Campus and the Ciutadella park. 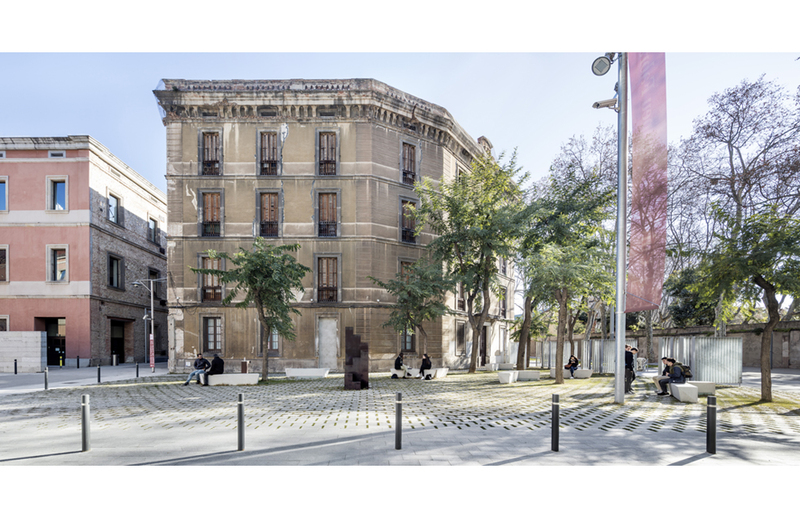 The BETA building is the new headquarters for the Pasqual Maragall Foundation for Research in Alzheimer’s. 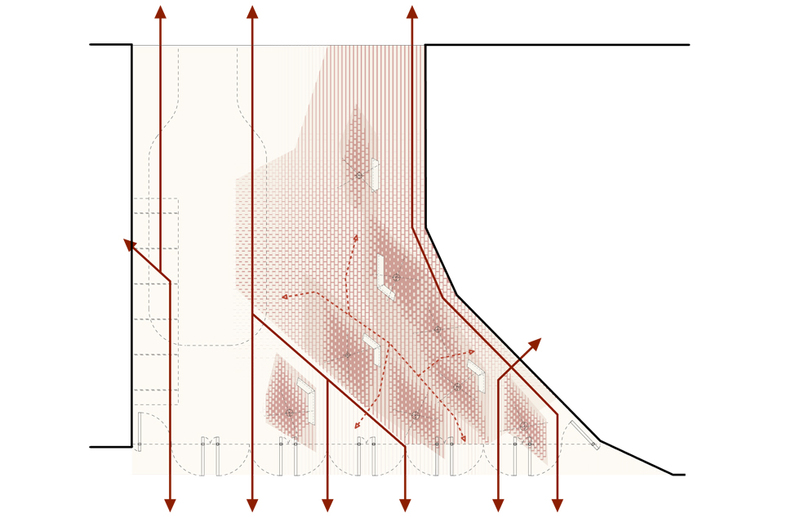 This projects makes part of the arch-land series (Maó ferry terminal-Lara Ríos house-UPF green area-BETA building plaza) and is the first of the series where we used parametric design tools from the initial stage. 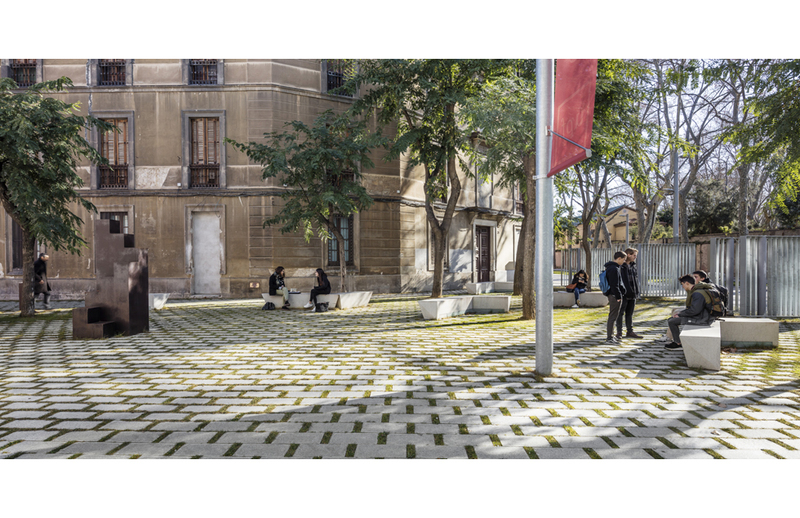 The plaza connects physically and visually the UPF hard-paved urban Campus with the historical Ciutadella Park. 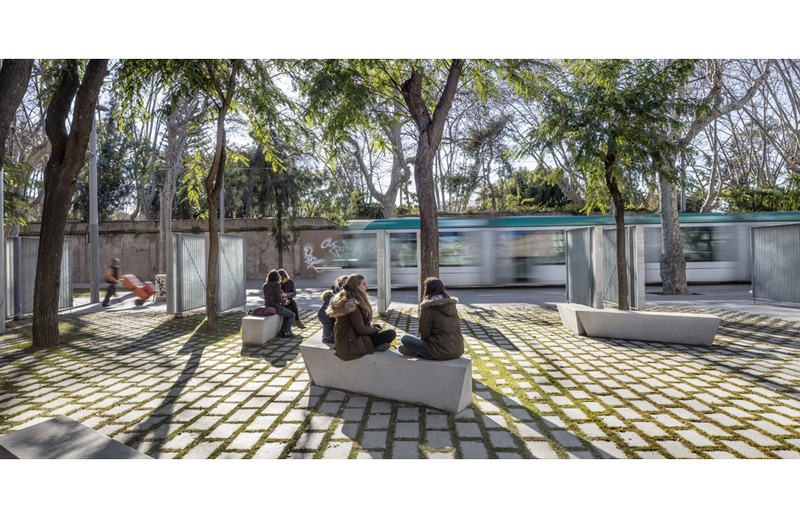 Although it is mainly a pedestrian circulation space, it will also be one of the very few open air recreational areas of the Campus. 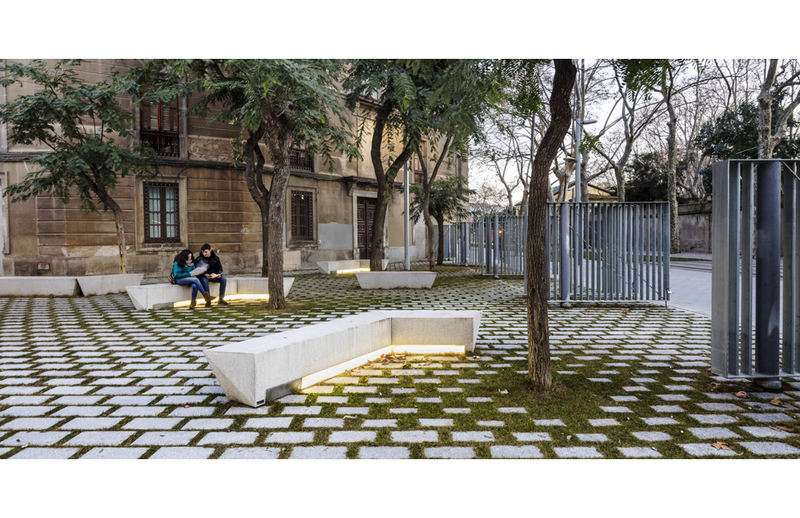 Design aim is to create continuous transitions from hard to green both from the visual and physical points of view. 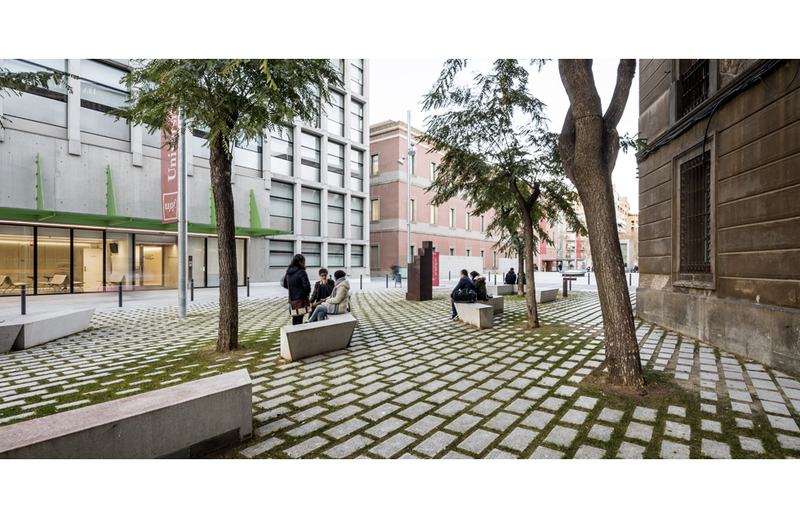 Transition between the campus and the park is based on the tree plantation gradient that merges the plaza with the park green canopy. 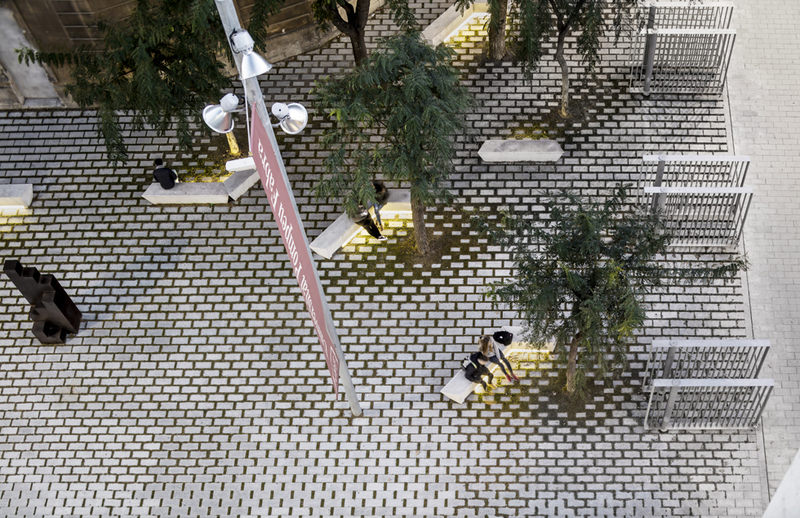 Inside the plaza, transition from hard to green areas around the trees is solved with gradients on the floor tiling pattern using a parametric tool. 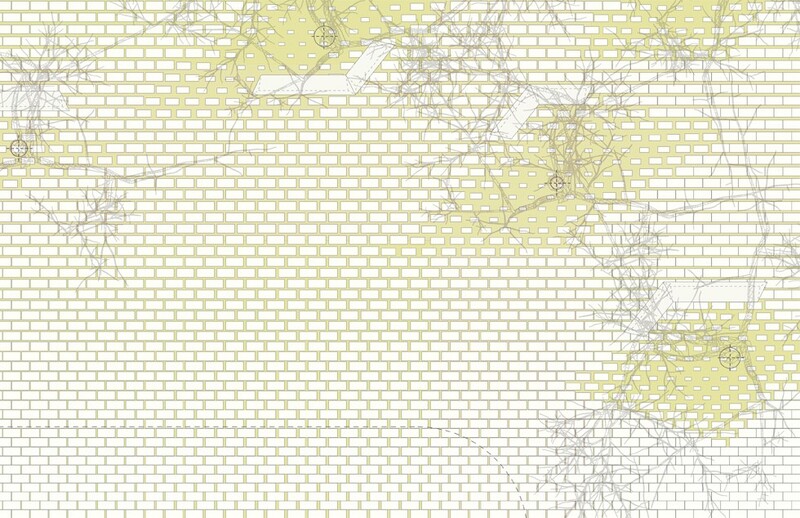 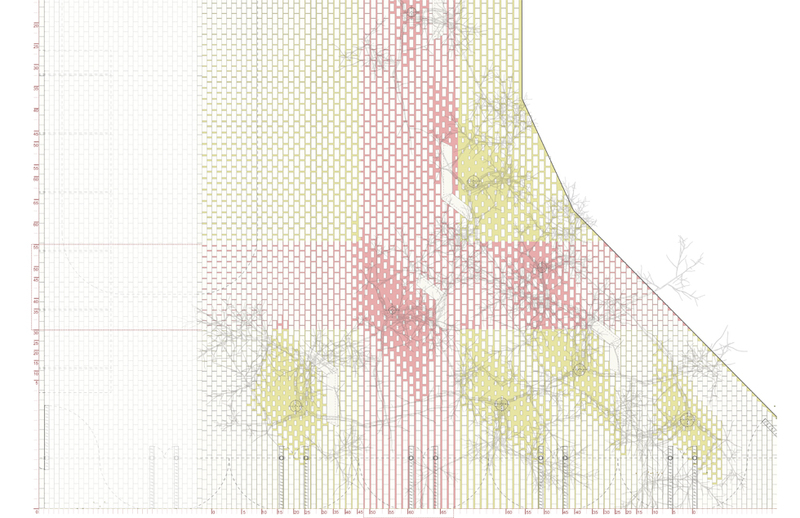 Rather than designing the pattern, we designed the rules that will drive the gradients and use as variables the format of the tiles, the incremental sequences of the joins and the size and dimension of the fields around each tree that regulate transitions.